But the woman told a Swiss newspaper she was innocent. The woman, who is from Basle, said she had been accessing the internet on her iPhone while in bed. She said she did not believe the company's assertion that a colleague had inadvertently noticed her using Facebook, accusing it instead of spying on her. 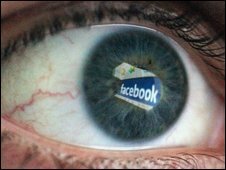 She said the company had created a fictitious Facebook persona which become "friends" with her, allowing the company to monitor her online activity. Her suspicions were raised when the "friend" suddenly disappeared after she was fired, the woman told 20 Minuten daily. But the company says it followed a simple logic: that those who are well enough to use Facebook with a migraine are well enough to work with a migraine. It is not the first time Facebook has been involved in a workplace controversy. Some companies have banned it altogether, while others have fired employees over statements they make about work while online.